Solar photovoltaic (PV) power systems are one of today’s fastest growing renewable energy technologies. 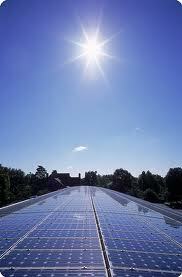 Solar cells, which are the foundation of PV systems, convert the energy in sunlight directly into electricity. Solar project financing is a specialized business requiring intimate knowledge of National, State and regional incentives and policy in addition to expertise in tax driven financing structures. Gemstone specializes in financing commercial solar projects on a stand alone basis as well as aggregations of smaller commercial and residential systems. There are a myriad of options available to finance your solar project or aggregation. Traditional arrangements include direct loans, lease arrangements, and power purchase agreements (PPA). A solar lease allows a third party to take on the upfront cost of developing the solar system and provides the site host (user) with use of the system for a monthly lease payment. The system owner/lessor absorbs the cost of building the system as well as the incentives including any rebates, tax credits and renewable energy credit monetization. The owner/lessor will often take responsibility for maintenance and repairs but these costs are, of course, factored into the monthly lease rate. With a solar lease, the building site host (user) gets all of the benefits from the production of the solar system in return for a fixed monthly lease payment. Since solar generation is seasonal, there may be months where the value of the generation will be less than the lease payment as well as months where generation exceeds the payment. Typical lease terms are in the 10-20 year range. A Power Purchase Agreement (PPA), is also a third party owned financing structure. The PPA provider takes on the upfront cost of building the solar system and typically takes on the cost of operations and maintenance. The site host (user) enters into a contract with the PPA provider to purchase electricity generated by the solar power system. The PPA typically provides for a lower cost than utility rates and allows the site host user to “lock in” an ongoing savings against rising utility rates or even a long term fixed rate. Different from a lease, the PPA provides that the site host (user) pays for only the electricity generated and delivered to the meter. Thus, the risk of generation and seasonality falls squarely on the PPA provider. Typical PPA terms are in the 10-20 year range. Gemstone’s experience in tax based third party ownership structuring can be an asset to your organization.